We just got back a couple of weeks ago from our family vacation to southern California. With a rambunctious 2 and 4 year old we were a little stressed at the thought of how it would all play out. But I’m happy to report we all made it back in one piece having had a ton of fun with lasting memories to treasure! We had a blast in San Diego! 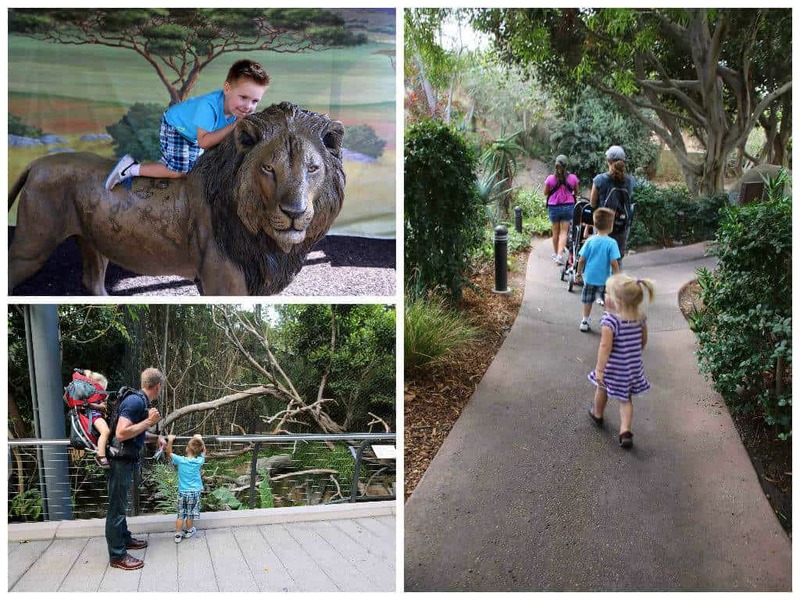 Here is Part I of our adventures, featuring a couple of San Diego’s most popular family attractions. We specifically chose to go in October for a couple of reasons: We figured with school back in session there would be fewer crowds and the weather is still great in October. We were pleased on both counts. And coincidentally we also came to find out that October happens to be “Kids Free” month in San Diego. 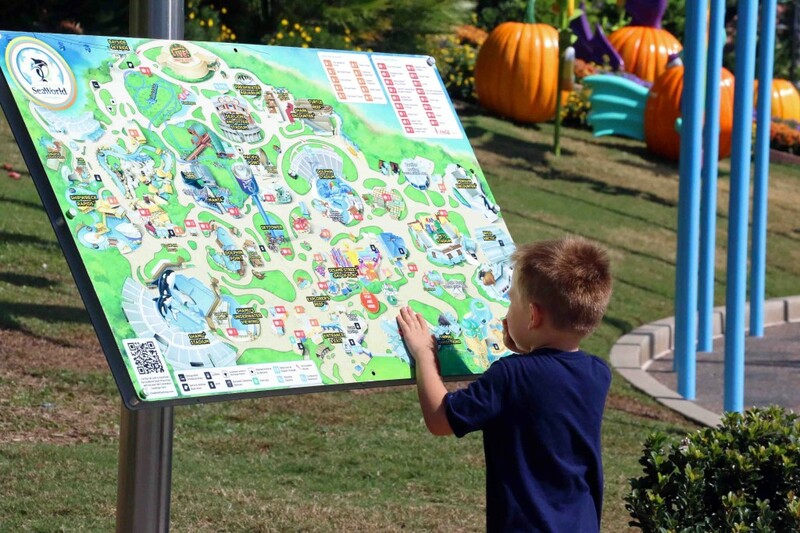 We couldn’t believe everything that was on the list – during the entire month of October kids can enjoy free deals on over 100 attractions, including the world famous San Diego Zoo, SeaWorld, over 30 museums, free public tours and transportation, free restaurant meals, and more! It’s incredible how many free attractions children have access to during the entire month. San Diego has got to be the most kid-friendly city in the country! 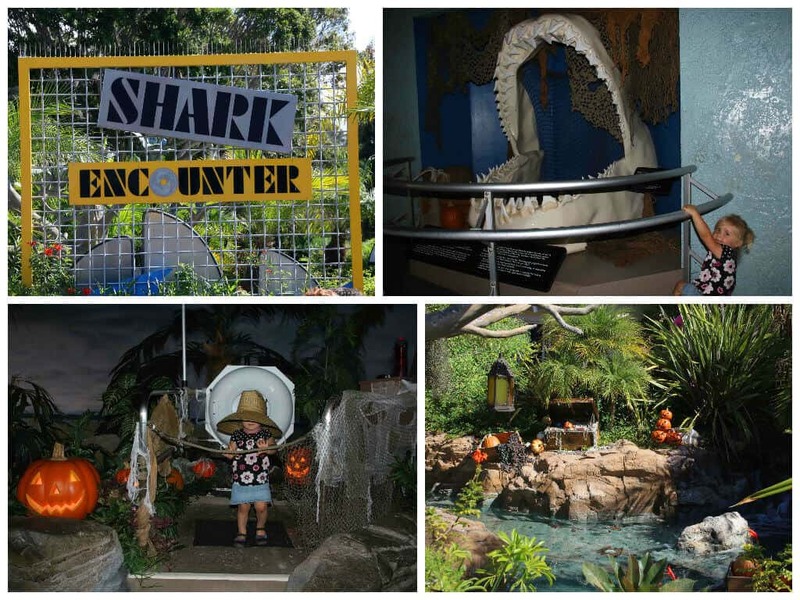 It’s nice to see a city that not only realizes the importance of fun and educational experiences for children but encourages them to participate by making those opportunities fully accessible during an entire month out of the year. Standing ovation for the city of San Diego! Before heading down to San Diego we had spent a few days in Los Angeles seeing some of the attractions there. Even amidst the exciting things we did there, our 4 year old son couldn’t stop talking about wanting to go to the zoo. As far as he was concerned, nothing else existed – no, not even Disneyland. As fun as that was, he had Zoo-on-the-Brain and there was no sidetracking him. So needless to say, when we finally arrived in San Diego the zoo was the first thing we hit! 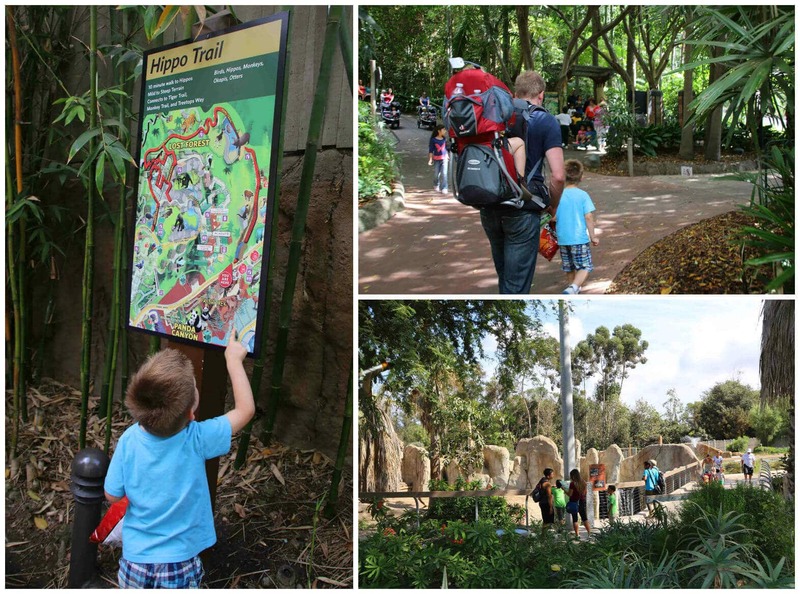 With so many things to see, our son immediately ran to the map to check out all the options and he and our daughter more or less led the way, calling out the different animals they wanted to see next. The San Diego Zoo is massive! We came prepared with a convenient kid carrier that was also able to fit our water and snacks. 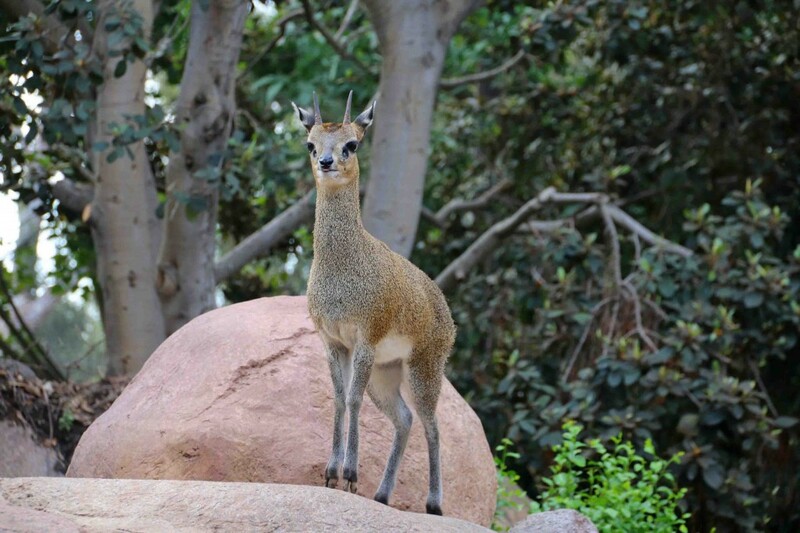 The zoo allows you to bring your own food in with you and we recommend that as the food there is quite expensive. Our kids were both such troopers and wanted to walk the entire time. But when you’re in need of a break, the zoo also has buses that allow you to conveniently get from one location to the next. Even though October is Kids Free Month, we went in the morning and it wasn’t too overcrowded. And the October weather was perfect. 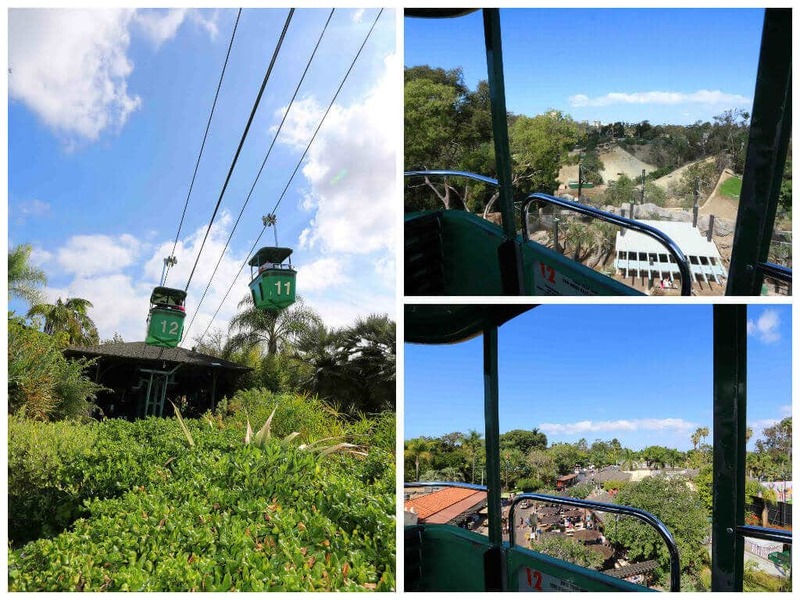 The zoo has an aerial tram, the Skyfari, that runs all day long and offers spectacular views of the zoo. We were a little nervous taking our kids on it, but they remained seated with our arms around them and enjoyed it so much they requested to go again. Our kids had way more stamina than we did and could have continued on indefinitely it seemed. But rather than walk all the way back to the entrance, we rode the zoo’s Kangaroo Express. We got to see quite a few animals during the drive and the kids really enjoyed it. Our driver was friendly, enthusiastic and engaging and told us some facts about the various animals as we drove around. 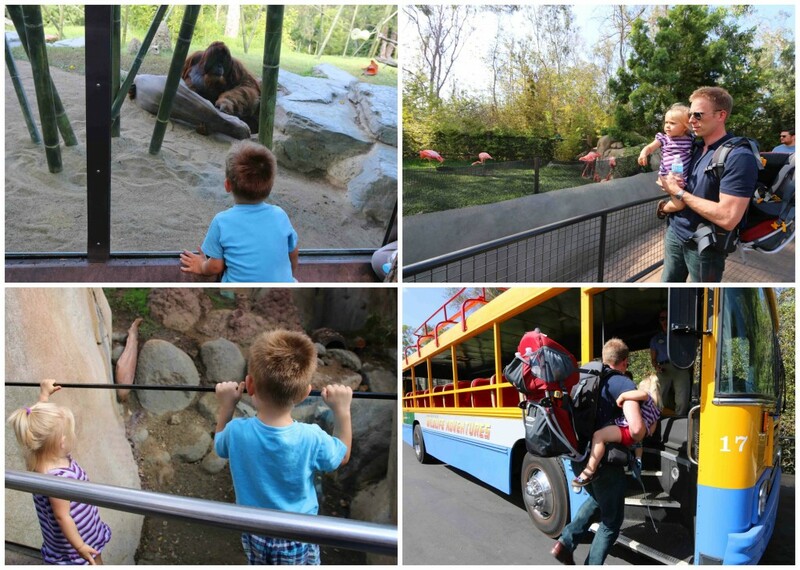 Our kids had a blast at the San Diego Zoo and we’ll definitely be coming again. 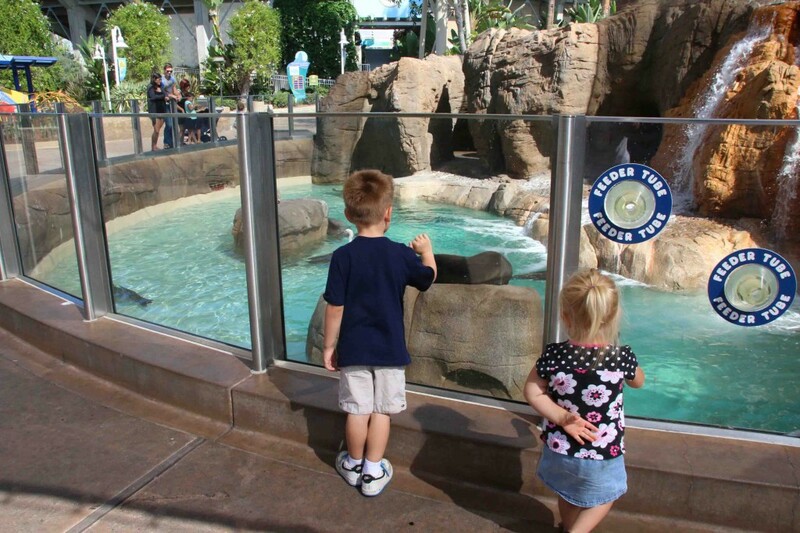 The next day we hit SeaWorld and our kids were ready for another big day! Again, so much to see and we let our kids lead the way. Of everything our son probably enjoyed the mantas the most, probably because he was able to interact with them. Those mantas weren’t shy in the least! They came right up to the kids and they were able to reach in and touch them several times. 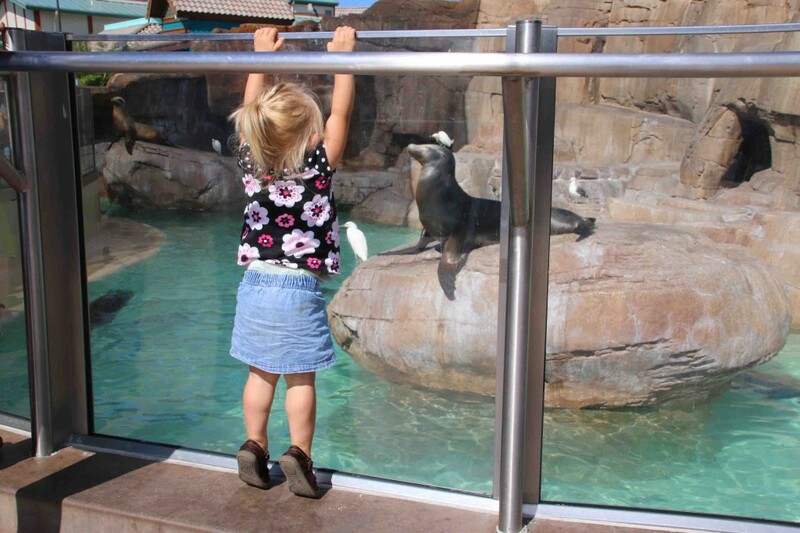 They really loved the seals, too. Seals have always been one of my favorites and these ones were particularly cute. Such proud expressions! Another kids’ favorite were the penguins. It was definitely mine and my husband’s favorite attraction – because it provided a nice cold break from the hot weather! 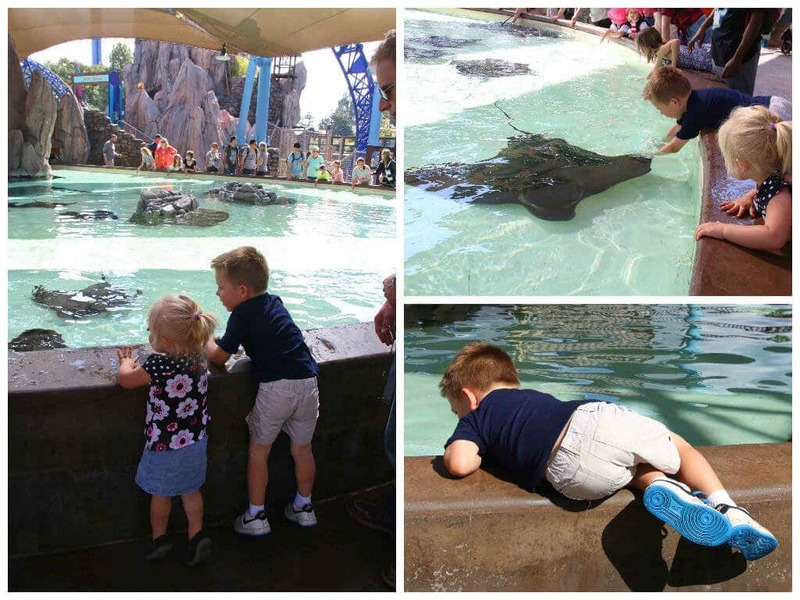 Our kids really enjoyed their time at both the San Diego Zoo and SeaWorld. A warm “thank you” to both of them for participating in San Diego’s Kids Free Month! It was fun, educational, and we enjoyed some great family time together. Memories like that are priceless. And another round of applause for the city of San Diego! For more information on other San Diego Attractions, including special events and offers like Kids Free Month, visit San Diego’s Official Travel Resource. Join us for more family fun in the upcoming PART II of our vacation as we explore more amazing San Diego sites, including Coronado Beach for some surfin’ USA, Balboa Park, and some awesome family-friendly restaurants! Disclosure: The kids enjoyed free admission per San Diego’s Kids Free Month and we were provided with complimentary tickets. As always, all opinions are entirely my own. The San Diego Zoo is certainly on my bucket list! What amazing memories with your kids! Wow, looks like such a fun trip! I’ve always want to go to the San Diego zoo! It was my first time, Ashley, and it was even bigger than I thought it would be. Almost 4000 animals! Thank you for sharing all these great pictures! That trip to the Zoo and Sea World must have been fantastic for all of you! Thanks, Kitty, we had a blast and I’m still amazed that San Diego offers virtually everything for free each October! Next trip you might want to try the San Diego Wild Animal Park. My husband and I did that about 3 years ago, and it was wonderful. If you want to get a taste of Africa, that’s the place to go. I haven’t been to the zoo in many, many years, but have fond memories of it. Glad you had a good time. Hi Susan, thanks for the tip! Our kids would have loved the Wild Animal Park, too (I think it’s called the Safari Park now or maybe it’s different?) We were actually thinking about going there but had so many other things to pack in during our 3 day stay in San Diego, there just wasn’t enough time. We’ll definitely catch it the next time around though. I miss those days! 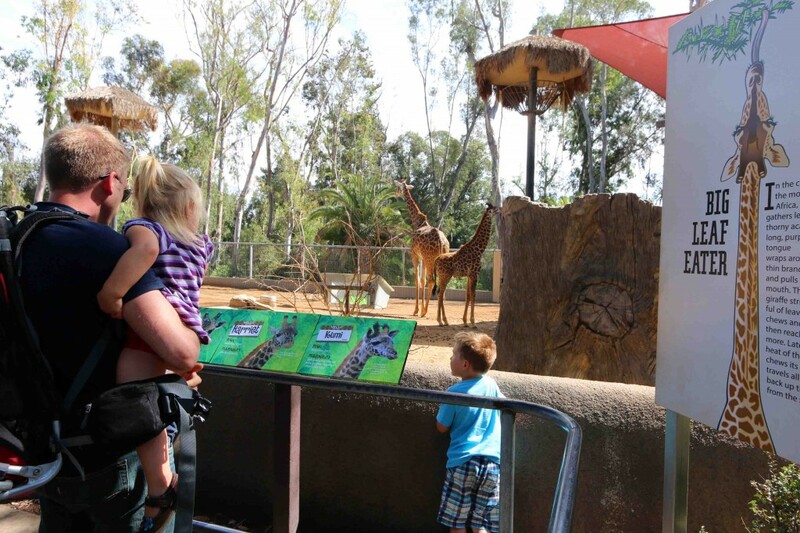 I remember taking my two to the San Diego Zoo (and the Wild Animal Park) when they were about your kids’ ages! 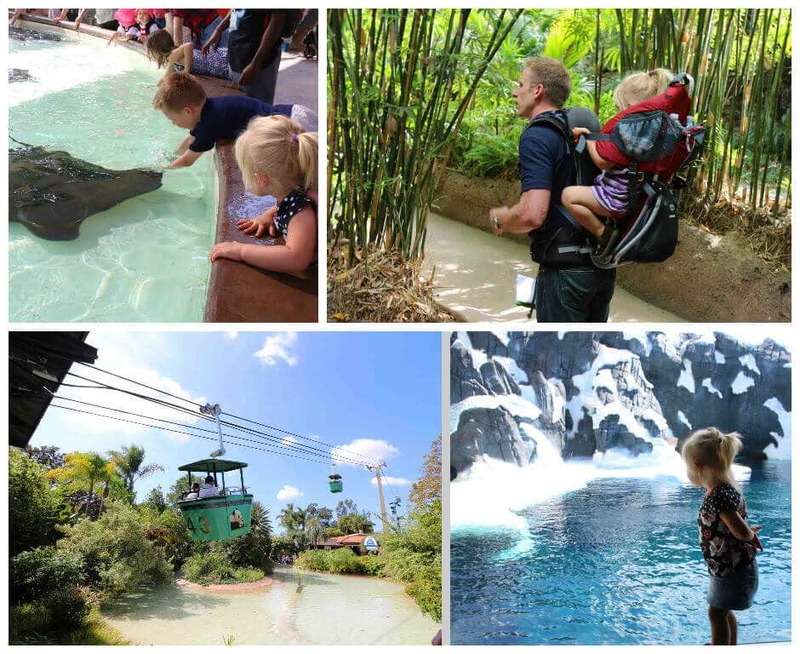 These are truly the most memorable times for children, and what a fun trip for them to hit Sea World the next day, too! Your kids are adorable!! Thanks so much, Christina :) They held up really well during the trip and we all had a great time. How fun! Your kids are so adorable and I’ll bet they had the time of their lives! 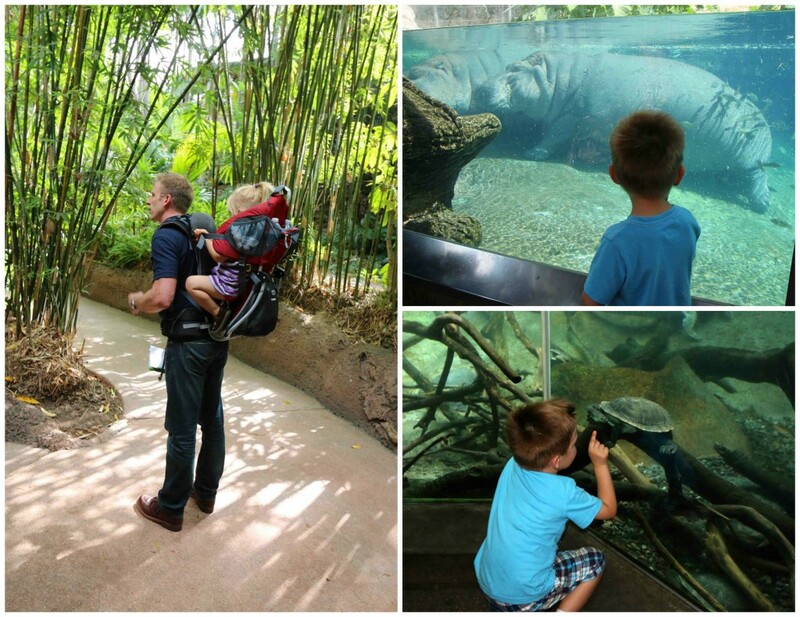 Experiences like that are priceless – fun, educational, and such great family bonding time. That’s wonderful that San Diego and all the participants of the Free Month realize how important experiences like this are for children. Thanks for sharing part of your family vacation! Our kids always enjoyed the interactive parts the most so I’m not surprised yours loved the mantas. It isn’t everyday that you get to reach out and touch one :) San Diego offers so many fun and educational things for families, so glad you guys had a great time. 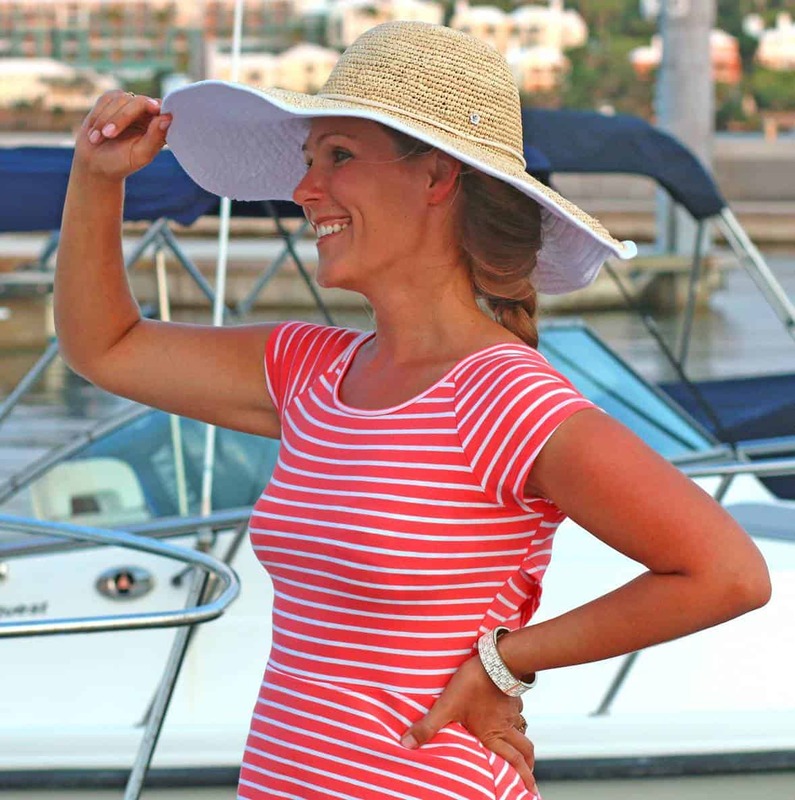 Thanks, Sandra :) Yes, take your family to San Diego – so much to do, you’ll love it! My hubby and I went to the SD Zoo 2 years and had a BLAST. I had not been in 20 years and was blown away by how awesome it was. We don’t have kids and it really didn’t matter because the zoo has something for everyone, I think it is the best in the country! I couldn’t agree more, Andi! We only scratched the surface in the few hours we were there – so many animals to see! glad that y’all had an amazing time together! I’ve always wanted to go to the San Diego Zoo! Love the penguins! Thanks, Angie, we had a great time at the Zoo and SeaWorld! 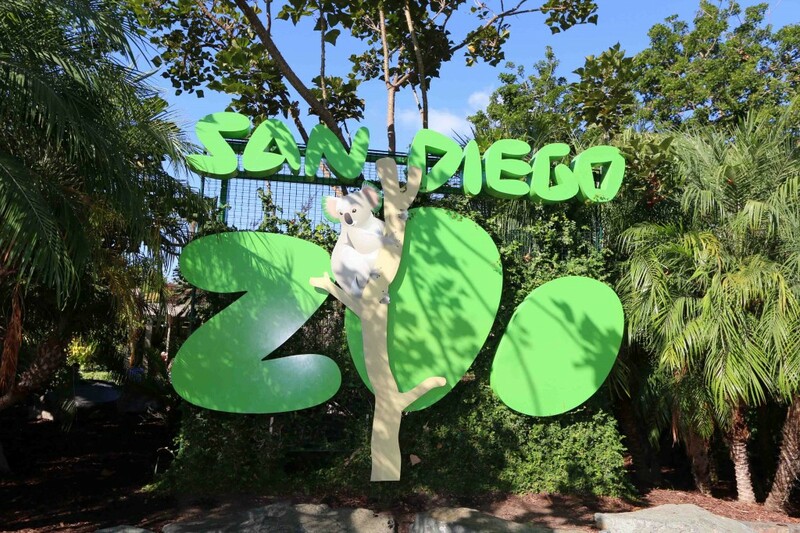 I have always wanted to visit the San Diego Zoo. I hope to make it someday with my kids – even if it is when they are grown up. 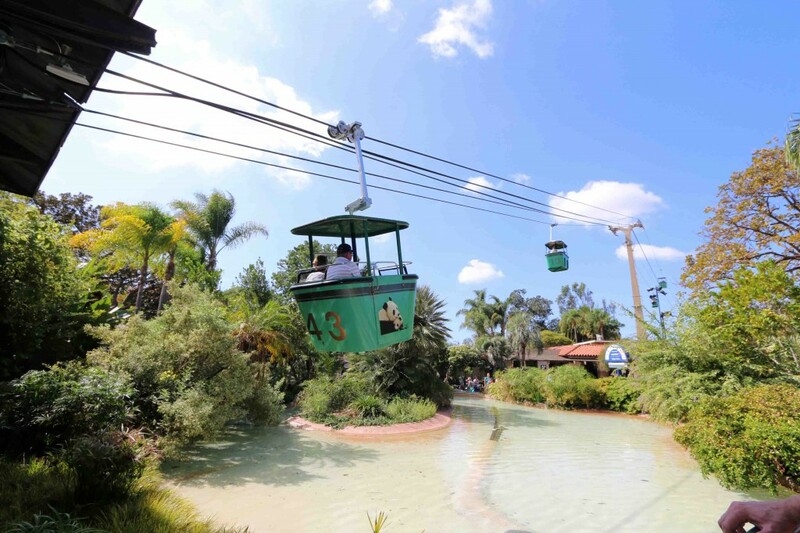 I am impressed with its size and the fact that it has an aerial tram. It’s even bigger than I thought it would be, Lynda. Definitely makes for a lot of walking and I’m glad we had the child carrier with us. 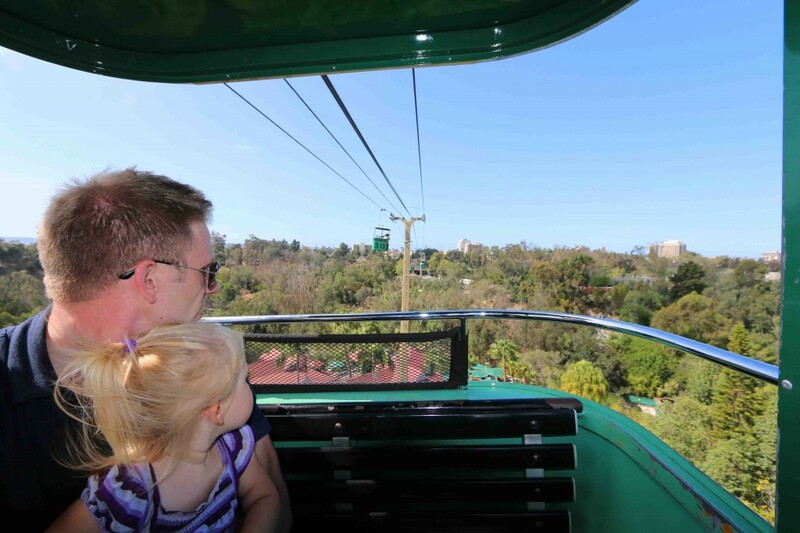 I was impressed with the aerial tram, too. We were nervous taking the kids on it, but kept our arms around them the whole time and it was fun. I love San Diego and their Zoo! Love your photos! Now I want to do the Skyfari the next time I go! Thanks, Julie, it was tons of fun! Thanks, Jenny! It made for the perfect family vacation! We haven’t been to San Diego in ages! We used to go frequently when we lived in Las Vegas because it was such an easy drive to make it a weekend break. I guess I’m just a big kid because San Diego Zoo is one of my favorites. 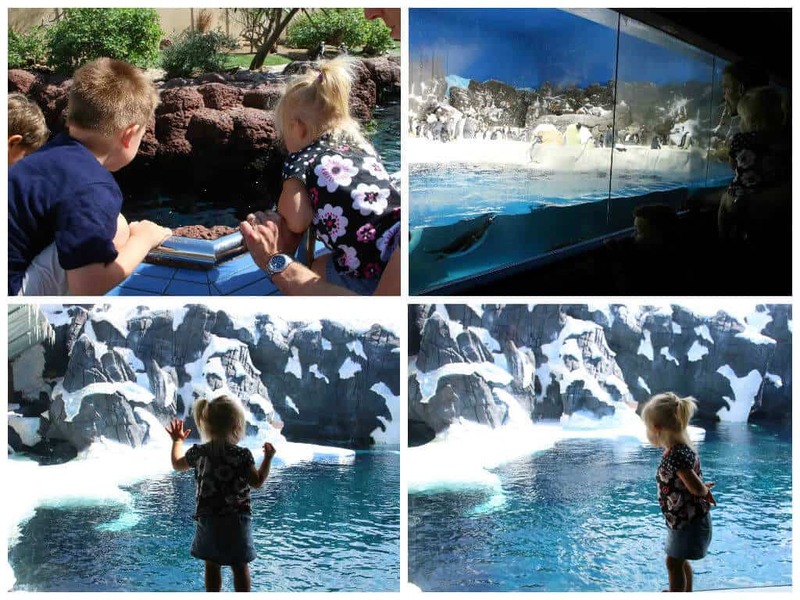 The San Diego Zoo and SeaWorld both resonate with the kid in all of us :) I don’t think I could ever tire of either of them. 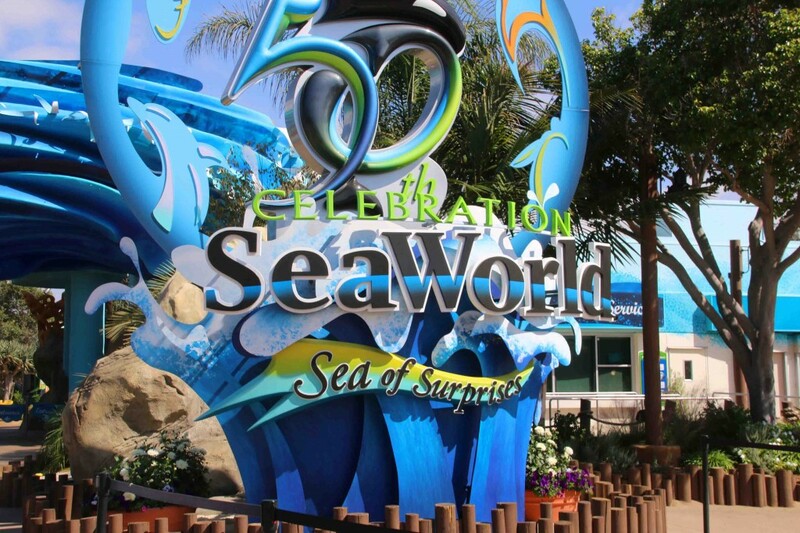 I love SeaWorld and the San Diego Zoo!!! Such great pictures, such adorable kids, and your husband is a champ for carrying your daughter around like that! San Diego deserves to be in every family’s travel bucket list! :) I know, what really impressed me too were all the participants in the free month – even the mega big attractions like SeaWorld and San Diego Zoo participated. Two thumbs up for them! I haven’t been here in so long! I need to go back even sans a family! I remember it being such fun! Great pictures too! Looked like you had such a great time! It was fantastic, Amanda, thanks! Interesting post! 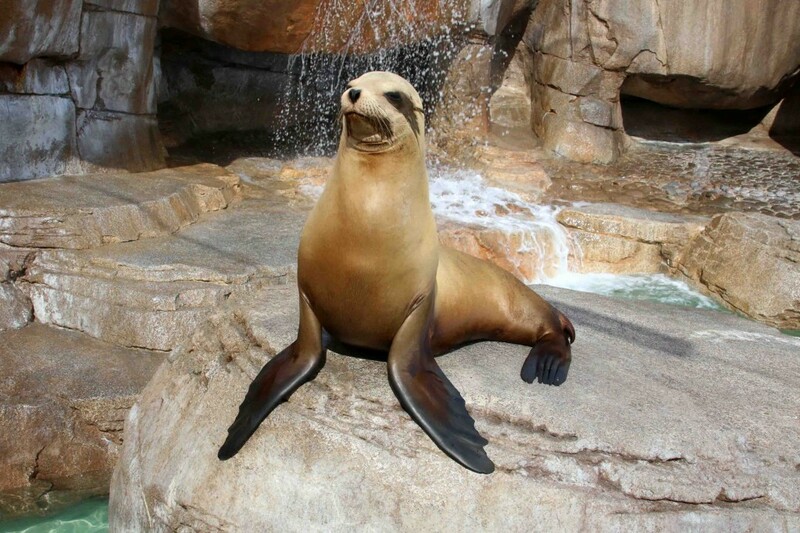 I love Sea World and the San Diego Zoo!!! Such great pictures, such adorable kids, and your husband is a champ for carrying your daughter around like that! Thanks for sharing this awesome post!